Mister Rogers arrives with a slide whistle and shows how its sound changes by moving the slide. Maggie Stewart stops by with a small piece of art made from water and oil which she and Mister Rogers admire. Maggie sings and signs Once a Day before she and Mister Rogers have a talk about what to do when feeling angry. Swimming is what helps Maggie Stewart feel better when she's angry -- even just thinking about swimming. This leads into a short clip of Maggie swimming in a pool. Mister Rogers spends a few moments at his piano talking about how he has always liked to make up songs about what he's feeling and doing. As a demonstration, he comes up with a song about having a peanut butter and jelly sandwich with a glass of milk. Mister Rogers also plays a few more familiar pieces including You Are Special. In the Neighborhood of Make-Believe, Robert Troll draws a very detailed picture of Grandpere's tower which further frustrates Lady Elaine. In dealing with her anger, she uses her boomerang to turn the tower upside down! Back at the house, Mister Rogers receives a visit from Jay Styperk, a wheelchair athlete and student of Marilyn Barnett, who stops by to demonstrate some exercises. Jay also explains to Mister Rogers why he uses a wheelchair. 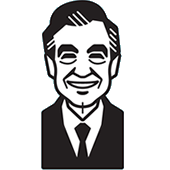 Inside, Mister Rogers reminds viewers that "the important thing to remember is there are many things we can do when we're feeling angry or sad or happy -- many things that don't hurt ourselves or anybody else." Mr. McFeely delivers the completed painting from Red Grooms and sings the Speedy Delivery song. Wrapping up a busy day, Mister Rogers calls Red Grooms to thank him for the painting. During the opening sequence, Mister Rogers drops one of his dress shoes as he attempts to toss it to his left hand. Rather than reshoot the scene, Mister Rogers recognizes this as a moment to teach a quick and simple lesson: "Ever drop your shoes when you're putting them on? Well you just pick them right back up again." This series of episodes is often referred to with the abbreviated title "Mad Feelings;" however, the full (lengthy) title is "What Do You Do With the Mad That You Feel?" © 1995 Family Communications, Inc.